Backed with dedicated work force, we are indulged in offering Double Blower Dual Inlet. The products are manufactured from the use of sophisticated tools. These are carefully checked by our experts. Our products are acknowledged for their easy operation. The offered inlets have superior body strength. Moreover, these Double Blower Dual Inlets are available at most feasible rate. We are engaged in manufacturing and supplying Double Inlet Air Blower. - Moisture, high quality, compact design & trouble free performance. 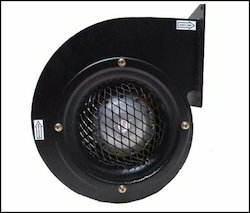 Since our establishment we have been involved in offering our esteemed customers a wide range of Double Inlet Blower. 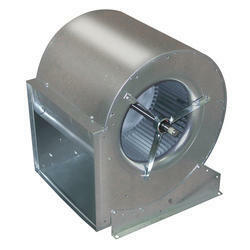 Technotech enterprises is one of the well-recognized Suppliers of Centrifugal Blowers in India. Our Centrifugal Blowers are extremely efficient and reliable. Our huge range of Centrifugal Blowers are available in various shapes and sizes such as straight radial bladed, backward curved, backward inclined, and aerofoil. - Application: For clean Air, Fumes, Moisture, and Ventilation Systems. These fans provide the highest available efficiency, lowest HP and lowest sound levels.